PLC is a singleplayer puzzle game where you play as Vir, a good virus that only wants to help computers instead of destroying them. 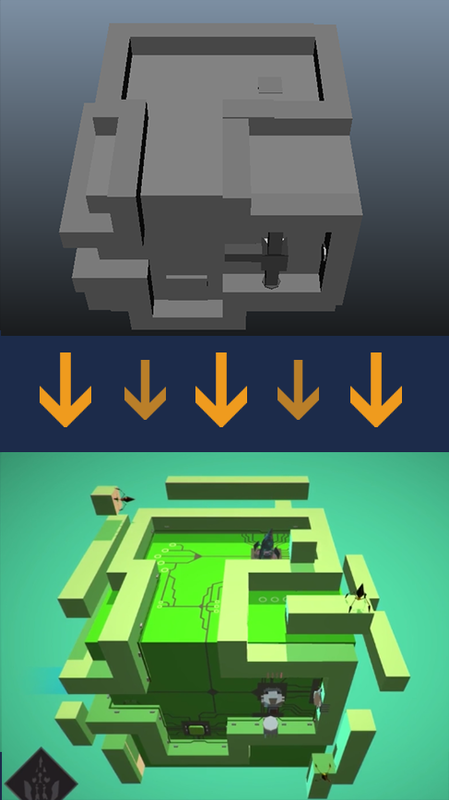 The player has to solve puzzles inside computers to protect them from evil viruses. 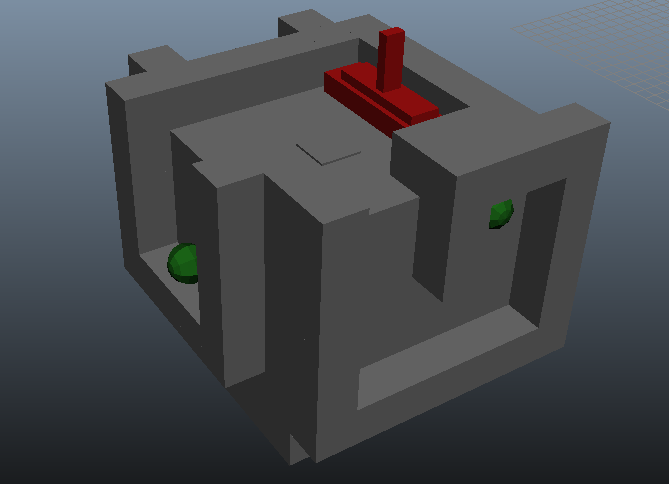 All the levels take place on a cube called the PLC and as a player you have to walk on different planes of the PLC and change your view to complete the puzzles. 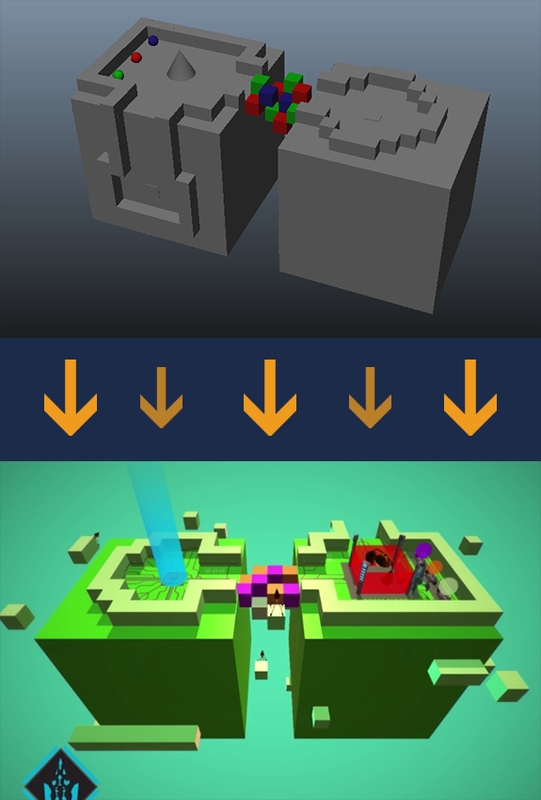 Level 2 block-out + finalized in-game version. 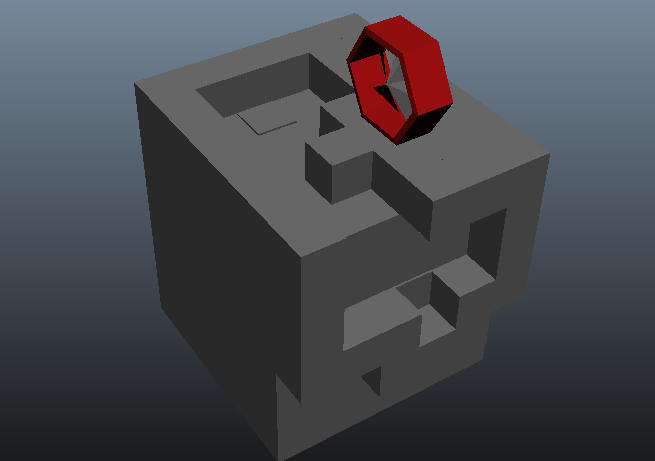 Level 3 block-out + finalized in-game version. 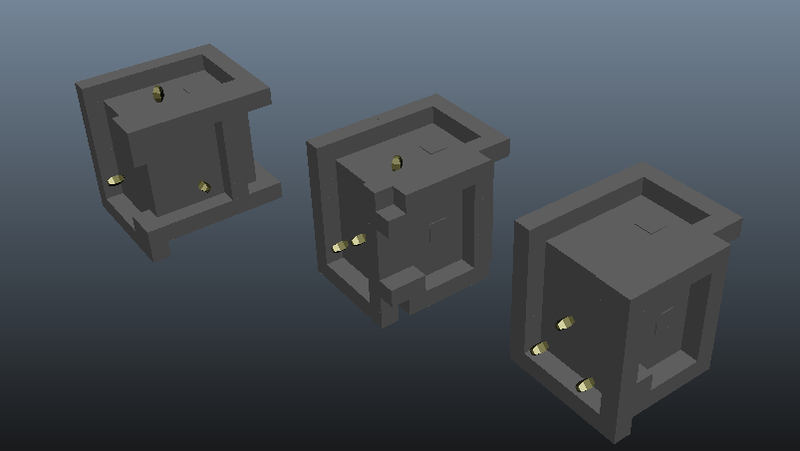 Level 1 block-out + finalized in-game version. 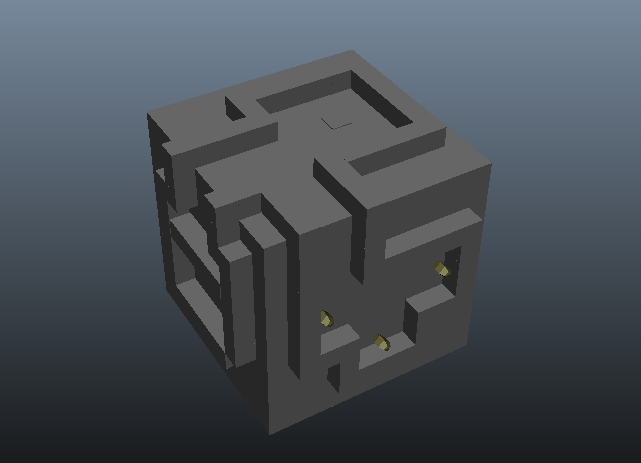 One of the first puzzle designs for PLC brought to life in this block-out. 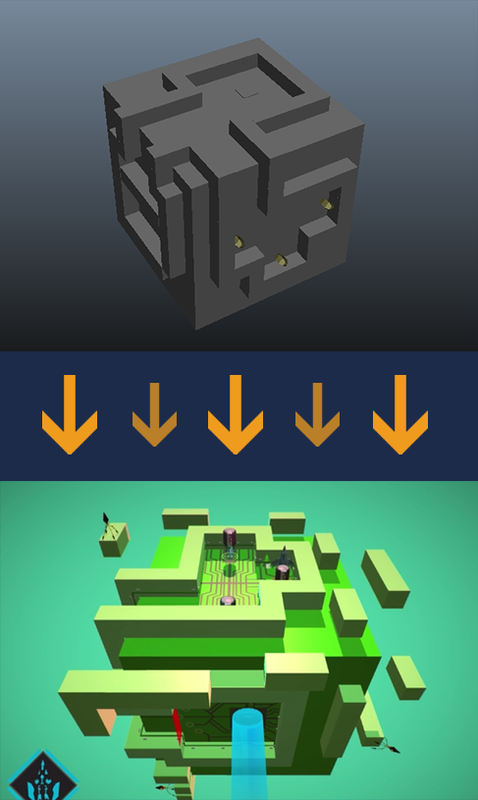 Different iterations for the level 2 puzzle. Final design of level 2.